What is the Beast Mark? It is my fervent prayer that you will carefully study this issue concerning the mark of the beast, because we are dealing with the arch deceiver in Satan. Revelation 13:14 says that Satan will deceive the world into worshipping him. Do you think this is just a simple case of a microchip being enforced upon us? No, a microchip isn't a 'deception'. There are two beasts in Revelation 13. The "earth" beast is the one who enforces the mark, and the "sea" beast is the one who's mark it is. Evidence suggests that America is the Earth Beast and there is undeniable proof showing that the sea beast is the Papacy. So what is the mark? It must be the "mark" of the Roman Catholic Church. Is the Mark of the Beast a Microchip? Let's quickly look at this theory of the mark being a chip or some sort of technology. There is one big problem with this theory which most Christians miss. If the government forced upon you a chip or ID card or whatever, would that stop you from worshipping God in spirit and truth, or would it stop you from keeping His commandments? Of course not! How could God reject you for just receiving (forcibly) a chip or ID card, even though you are still loving, obeying and serving Him? It's not possible. The only way to receive the mark would be to go against God and His Commandments, and give your allegiance to the beast instead of God. This issue is all to do with WORSHIP. Now could a chip or ID card be used by the beast system to keep track of people in the end times? Could this technology be used to stop those of us who refuse the mark of the beast from "buying and selling"? (Rev. 13:17) Yes! But in of itself, technology CANNOT, and I cannot stress this strong enough, CANNOT be the beasts mark that causes the undiluted wrath of God. God is not concerned with material things. After all, He is a Spirit and is concerned with spiritual matters. He is concerned with how we worship Him, because He is seeking those who worship in spirit and truth. Please think very carefully about this issue, so that you will not be deceived like so many will be. Satan is the arch deceiver, and He is using all his spiritual powers to deceive the world into taking the mark of the beast. But how deceiving would it be to just enforce a microchip or card as the mark? Not deceiving at all. What does Revelation 13:14 say? The real mark of the beast must be a spiritual mark that is received as a result of us going against God and His law. It cannot be a physical mark. Please understand this. Satan is going to deceive the world into accepting a law of the Roman Catholic beast, which will go against the law of our Creator God. Take a look at what the result of receiving this mark will be. Did you see what it said? The angel represents Gods messengers on earth, and they are saying that the mark of the beast is to do with WORSHIP! Anyone who "worships" the beast, by accepting its laws and traditions over the law of God will receive its mark. Therefore those who receive the beasts mark will be those who follow the beast (Roman Catholic Church), or its image (church-state union in America) instead of God. And they will be thrown into the lake of fire. The world has a choice to make in the last days, and the choice is to either obey God, or obey satan and his beast. But the word "Mark" in Revelation 13 means a literal mark! Are we now to say that we will have literal beasts roaming the earth forcing the world to worship them? And a literal prostitute riding a beast, causing the world to follow her? No. Revelation is FULL of symbolic language. And just because the meaning of a certain word points to the literal thing itself. Doesn't mean it will be literal in real life. It's symbolic. Same applies to the mark of the beast. How do we know that receiving the mark of the beast is a result of going against God's law? Straight after the third angel warns of receiving the beast's mark, he announces that those who don't receive the mark are those who are KEEPING GODS COMMANDMENTS and the faith of Jesus. In other words, the true remnant church of God are those who follow in Jesus' footsteps, and what did Jesus say? ... John 15:10 ...'If ye keep my commandments, ye shall abide in my love; even as I have kept my Father's commandments, and abide in his love.' ... Are we not to follow Jesus? The sad thing is, the truth of God's law has been cast down by satan and many professing Christians are deceived into thinking that keeping God's Ten Commandments is not important. So during the last days we have two sets of people. One with the beast's mark and one with God's name written on their foreheads. Now will these people be walking around with a literal mark on their foreheads, or the name of God actually written on their foreheads? I don't believe so, I believe these marks will be spiritual ones. Remember, the book of Revelation is full of symbolic language. Take the harlot women for instance in Revelation 17:3,5 ...'and I saw a woman sit upon a scarlet coloured beast. And upon her forehead was a name written, MYSTERY, BABYLON THE GREAT, THE MOTHER OF HARLOTS AND ABOMINATIONS OF THE EARTH.' ... Is this going to be a literal prostitute riding a literal beast with those names on her forehead? Of course not, this is symbolic, just like the mark of the beast and the seal of God. Is there any significance to receiving the mark in the forehead or hand? Yes there is, which we can see from the following Old Testament scripture. What does it mean to bind Gods Words, His law upon our hands and foreheads? God wasn't asking them to literally write them on their hands and heads. He wanted them to keep His Commandments in their minds to stop them from sinning. Did you know that the front of our brain (forehead) is where our thoughts and decisions are made? The hand represents our actions. So if the people had the mark of Gods law in their hands and foreheads, then it meant that they were keeping Gods law in their minds spiritually, through their thoughts and decisions, the way Jesus taught us, and also in their actions. God would 'seal' His law in the hearts (minds) of His people, and they would be the one's keeping God's ten Commandments and would not be deceived into receiving the mark of the beast. Remember, Bible prophecy reveals that we would have two groups of people during the end times. One group of people with the seal of God, and the other group with the mark of the beast. In other words, we will have one group who will yield their minds and actions to the beast, and have the beasts mark, and another group that will yield their minds and actions to God and have Gods seal. Or His name spiritually written in their foreheads. To understand this further, we need to find out what the truth is about the name of God. Is it just a set of words, or does it have a deeper meaning to it? Do you see the truth about the name of God in the above verses? God proclaimed His Name to Moses on Mount Sinai. But God didn't tell Moses to command people to use certain words for His Name. No, the name that God proclaimed was His CHARACTER! - merciful, gracious, forgiving, longsuffering etc. God reveals that the 'name of the Lord' is His character, Just as Jesus confirmed ... John 17:6 ...'I have manifested thy name unto the men which thou gavest me out of the world: thine they were, and thou gavest them me; and they have kept thy word.' ... Jesus didn't just go around pronouncing the words of Gods name in the correct way. He displayed and proclaimed Gods character in His life. So now we can see that when it says in Revelation that the one group of people have Gods name in their foreheads, it means that Gods character has become a deep part of their lives, thinking and actions. The same way as the other group of people have given their thoughts and actions to the beast and receive the beasts mark. As we mentioned earlier, the sea beast of Revelation 13 is the Papal Church of Rome (Roman Catholic Church), and the mark of the beast is the mark of the Roman Catholic Church. Out of interest, let's ask the Roman Catholic Church if they have any kind of "mark" that goes against the law of God. WOW! Right out of the horses mouth! So if the beast is the Roman Catholic Church, what does she say is her "mark"? Changing commandment number 4 from the seventh day (our Saturday) to Sunday is her MARK! The Roman Catholic Church believe that changing the Sabbath Day from the seventh day to the first is her "MARK" of authority. The Roman Catholic Church is also the little horn power in Daniel that "thinks to change times and laws" (Daniel 7:25). So this fits with Bible prophecy also. Is Sunday the Mark of the Beast? There's a very interesting connection that many people miss with this issue. If you read Revelation 13:16-17, you will see that the mark of the beast is connected to "buying and selling". 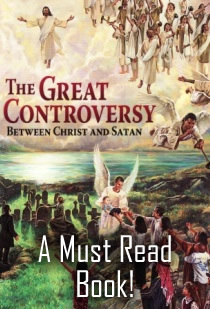 Now something we need to understand is that there is a great spiritual war between Christ and Satan. Satan is the great deceiver, and through his miracles and wonders (Revelation 13:13-14) he manages to DECEIVE virtually the whole world (professing Christians included). And how does he deceive the masses? By counterfeiting God and transforming himself into an "angel of light" (2 Corinthians 11:14). Satan has a counterfeit for just about everything found in the Word of God. And he has managed to deceive virtually the whole world on one particular point in Gods ten commandments. So God tells us in the 4th commandment that on the sabbath day, "business transactions" (work) is forbidden. Which means that Gods people are NOT to do any "buying or selling" on the sabbath. So what Satan has done is to introduce a counterfeit sabbath day through the Roman Catholic Church (Sunday), and when the time is right, he will have the Sunday law enforced, so that only those who accept the false sabbath can continue to "buy and sell". Virtually the whole professed Christian world has embraced this false sabbath (Sunday), and they are ripe to be deceived by the evil one into taking the mark of the beast. But Sunday keeping AT THIS MOMENT is not the mark of the beast. It needs to be enforced as a day of rest by civil law in order for it to become the mark of the beast. And this is what the Roman Catholic Church are pushing for right now. But that doesn't mean you can rest easy for the time being. Once you come to the truth, you need to live by it. Otherwise, God may withdraw His Spirit from your life and you will be in danger of becoming entangled in the deceptions of Satan, not having the power to overcome. Note: Will God's people be safe by just keeping the seventh day sabbath commandment? No. We need to keep all of God's ten commandments, AND the faith of Jesus Christ (Revelation 14:12). For the TRUTH about the sabbath, see THIS PAGE. THE SECRET PLAN OF SATAN REVEALED! "I see a very dark cloud on America's horizon, and that dark cloud is coming from Rome". "I have long been decided in opinion that a free government and the Roman Catholick religion can never exist together in any nation or Country. Liberty and Popery cannot live together". "I do not like the late Resurrection of the Jesuits. They have a General, now in Russia, in correspondence with jesuits in the U.S. who are more numerous than everybody knows. Shall We not have Swarms of them here? In as many shapes and disguises as ever ... In the shape of printers, Editors, Writers, School masters, etc. If ever any Congregation of men could merit, eternal Perdition on Earth and in Hell ... it is this Company of Loyola". "It is my opinion that if the liberties of this country - the United States - are destroyed, it will be by the subtlety of the Roman Catholic Jesuit priests, for they are the most crafty, dangerous enemies to civil and religious liberty. They have instigated most of the wars in Europe".